The SEO Framework plugin does the trick for those who want a fast, lightweight SEO plugin for WordPress without any ads or upsells. It strips some of the bells and whistles you probably don’t need and focuses on helping out those who are more concerned about keeping site speeds high while also spending less time with confusing SEO articles. 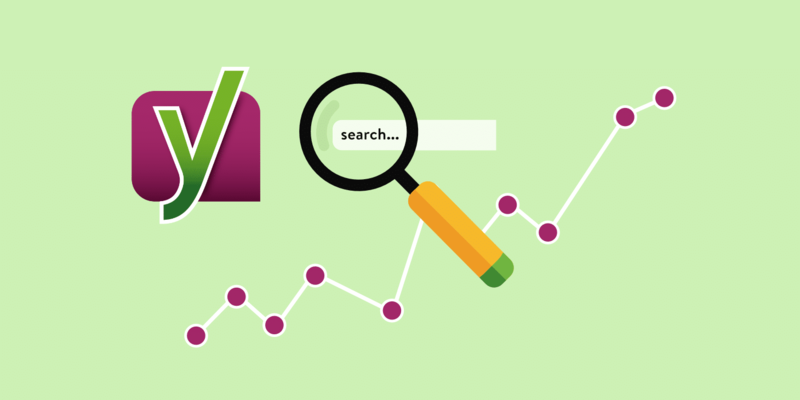 It’s often considered as the greatest alternative to Yoast or All in One SEO, and that has much to do with the visual nature of the SEO ratings–along with more flexible options for targeting keywords (like with slightly off words or synonyms). 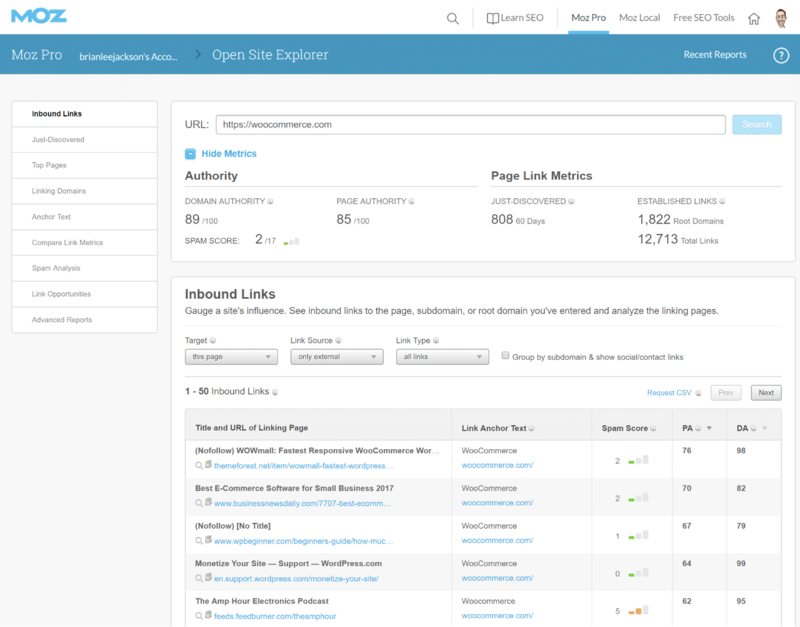 SEOPress is a freemium All In One SEO plugin for WordPress with no ads. It’s completely white labeled with no footprints even in the free version. It’s simple, fast, and powerful, letting you manage all of your titles and meta descriptions for posts/pages/post types/terms. Create XML and HTML sitemaps, track your visitors with Google Analytics (with RGPD compatibility), and optimize tags (Open Graph and Twitter Cards) for sharing your content on social networks. The free version also provides content analysis to help webmasters write better SEO optimized posts. Developers can use more than 75 hooks to set up the plugin as they wish. Breadcrumbs optimized for SEO and accessibility. 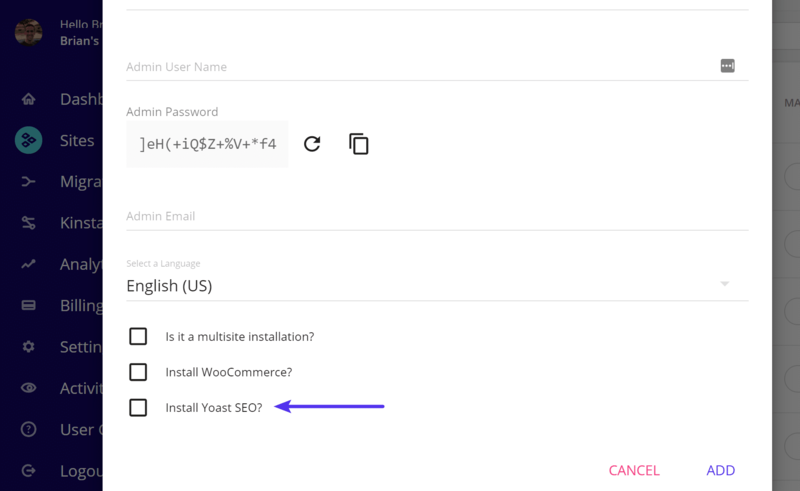 WooCommerce and Easy Digital Downloads optimizations. Video and Google News XML sitemaps. Google Structured Data Types (schemas.org): product, article, event, local business, recipe, review, FAQ, course and video. Backlinks from integration with Majestic (third-party API). Google Page Speed v5 integration to quickly check the quality of your pages. 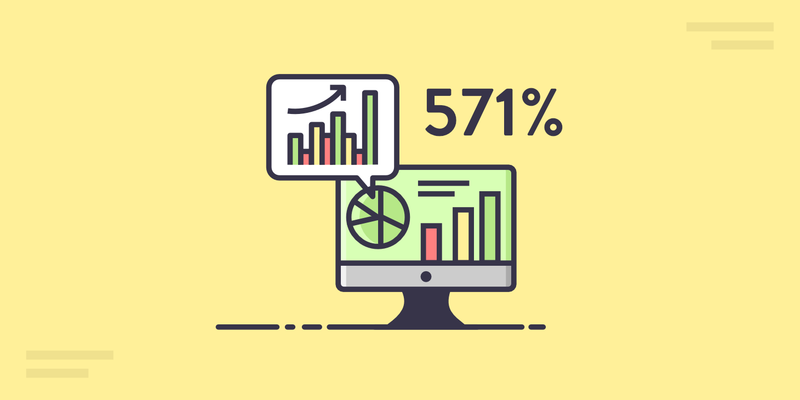 Google Analytics stats in your WordPress dashboard. No ads and your editors will see a metabox with no reference to SEOPress. Same thing in the admin bar. It lets you add Google Analytics tracking to your site in seconds. You can exclude user roles from tracking, setup custom dimensions, enable remarketing, demographics and interest reporting, tracks PDF, DOCX, XLSX, downloads, IP Anonymization, cross-domain tracking and more. Quick and easy Twitter meta tags and Facebook open graph data. Rank Math SEO is the swiss army knife of SEO tools for your WordPress website. It comes with everything you need for taking full control of your on-page SEO. Rank Math combines the power of multiple plugins you might be using on your WordPress website for SEO and brings everything into one easy-to-manage plugin that is also light-weight. 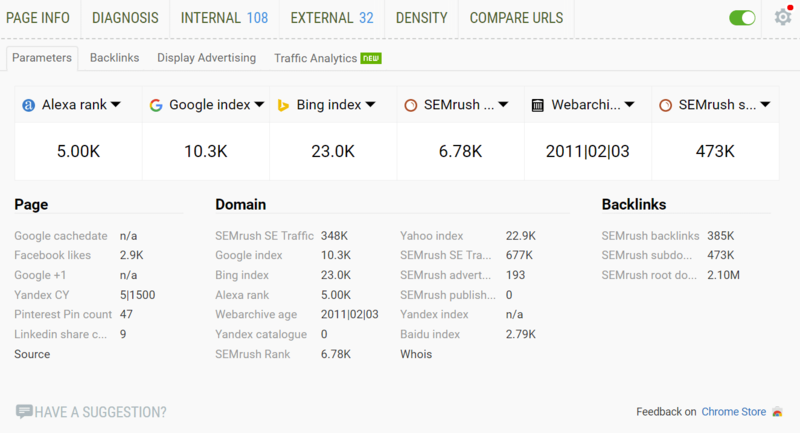 With Rank Math, you can manage the on-page SEO of your posts, pages, products or other taxonomies. You can also control noindex/nofollow/noarchive meta tags of all taxonomies in general and individual posts or pages in particular. It tightly integrates with Google Search Console to bring you essential information right inside your WordPress admin dashboard. Information like what keywords you are ranking for, how many search impression your website is getting, what errors Google sees on your site, etc., is available in one glance. Apart from that, Rank Math comes with an inbuilt 404 Monitor, Redirections, Rich Snippets, Local SEO, XML Sitemaps, Automated Image SEO, Internal Link Building recommendations, etc. It is a one-stop-shop for all your SEO needs. 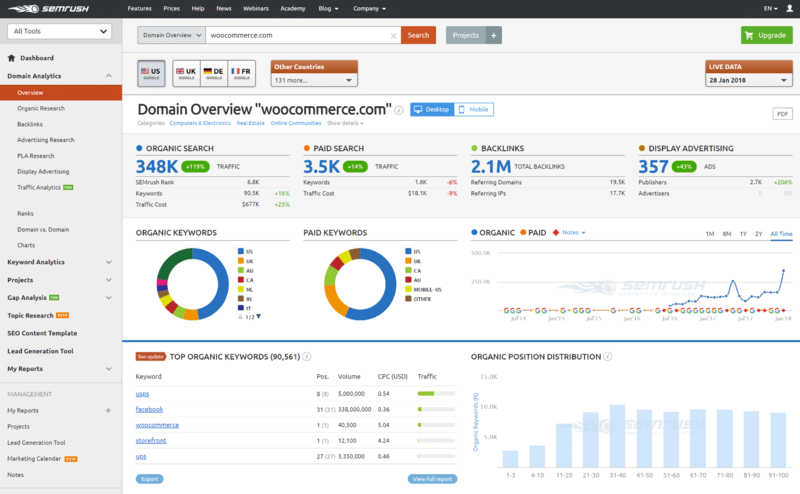 Each post/page/product runs through an SEO Analysis tool based on 40 factors. The user interface is very clean, and the options are easy to understand. It gives you options to automatically add alt or title tags to images that are missing them. Rank Math comes with a 404 monitor to tell you where users see errors. It also comes with a Redirection module that lets you point those 404 errors to something a little more useful on your website. XML Sitemap module comes bundled with Rank Math, and the plugin also pings search engines automatically once you make any changes to your posts. Rich Snippets support is included with an option to choose from 6 different types of snippets like Article, Product, Recipes, Events, Video, Local Business, etc. Breadcrumbs are also part of the plugin, so you don’t have to rely on another plugin for that. Open Graph and Twitter Card support is bundled. can I suggest SEOPress? (I’m the author). Almost 10K active installs and rated 5 stars. Hey Benjamin, looks like a great SEO plugin. Once you get a few more installs under your belt we’d be happy to add it. Excellent article and reviews. I particularly appreciate the bottom line recommendations at the end. I am currently using Semrush and there are certain aspects I like and lots of others I simply don’t use. Its highly recommended by many, but I also know they have a particularly good affiliate program motivating many reviews. 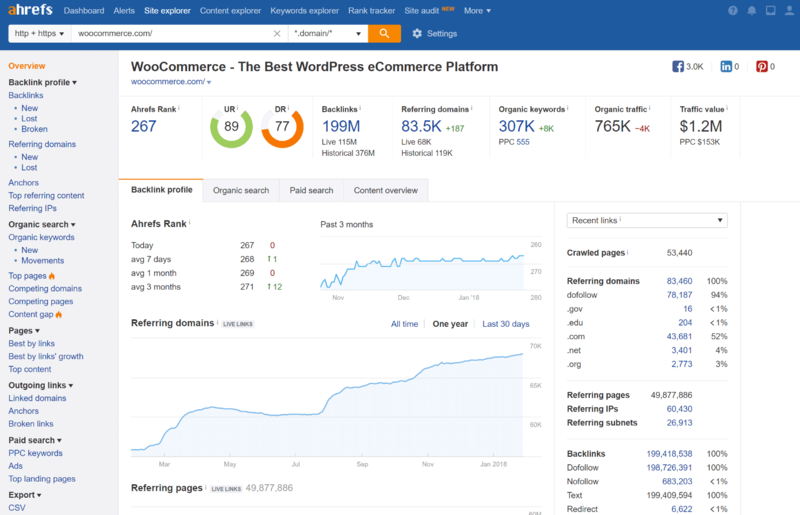 I want to try ahrefs since keyword research and links are my two absolutes. I understand ahrefs has some of the best and largest data sets for these features. 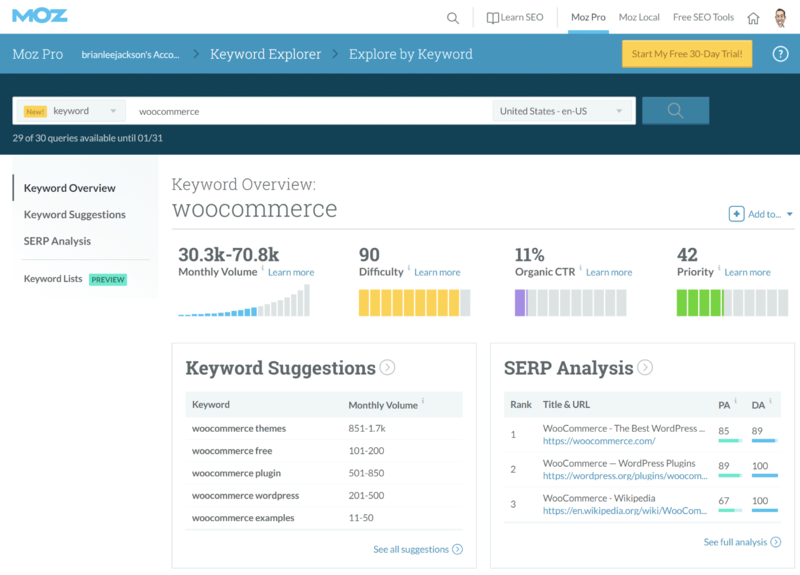 Would you recommend additional keyword tools if cost was not a big concern? I was thinking of trying KWFinder too, adding some variety to the keyword competitiveness analysis. It can be difficult decoding how these tools actually compute keyword competitiveness and their accuracy. 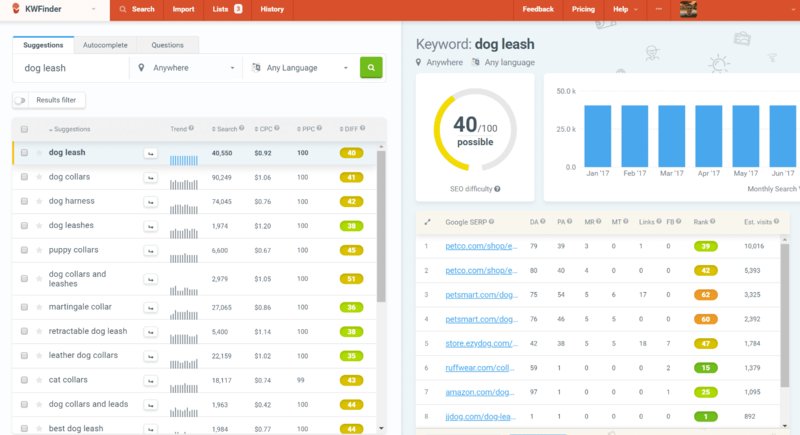 KWFinder is definitely a great little keyword research tool. They also launched their own backlink tool recently you might want to check out. It’s not as good as Ahrefs, but it works pretty good and is a lot cheaper if you just need some basic data. 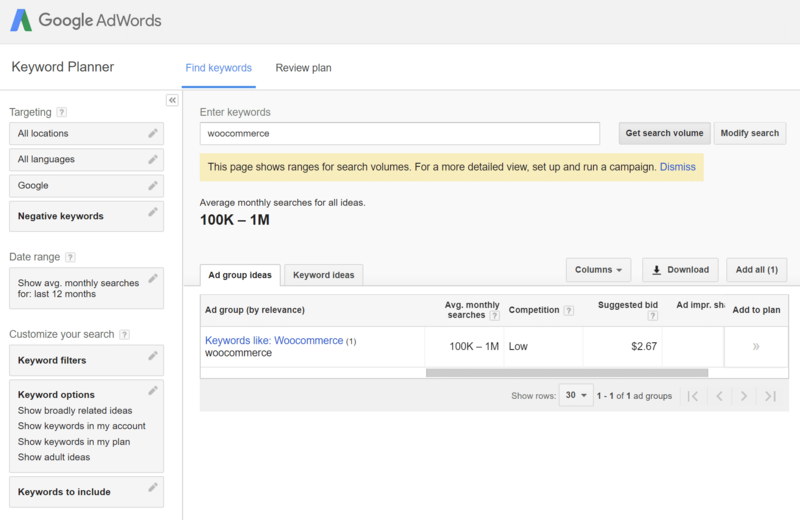 Yes, each tool uses their own set of rules to come up with how competitive a keyword is. I have used SEMRush, KWFinder, and Ahrefs and I personally think Ahrefs does the best job. Although again, it’s important to keep in mind, these are all estimations. And to redirect pages, posts or products, what plugin do you recommend? There are a lot of plugins, in general, anyone works well. If you’re using a host like Kinsta, it’s always recommended to do redirects at the server-level with their tool (https://kinsta.com/knowledgebase/redirect-rules/). An interesting article that has made me aware of some tools that I was not aware of before. I will be having a good look at some of them. 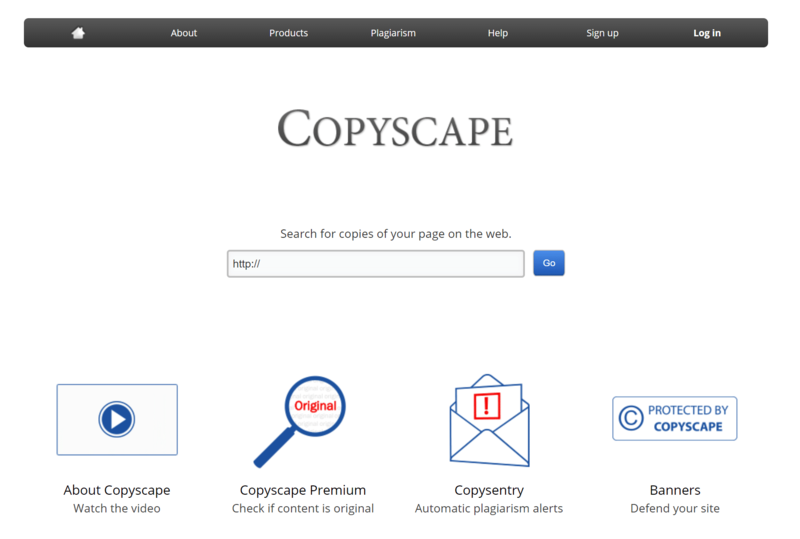 I have been using Grammarly since I was at university but I am going to try Copyscape. Hey David! Glad you found some new tools. We are also big fans of Grammarly for writing :) But yes, Copyscape is great for checking if anyone is copying your content. And if so, how much (%) they have copied of a page. Yoast is the best. I use it for many years since when I started blogging. It is simple yet powerful to optimize our contents for the search engines. Not so much now. I reported 5 bugs already since their latest update. 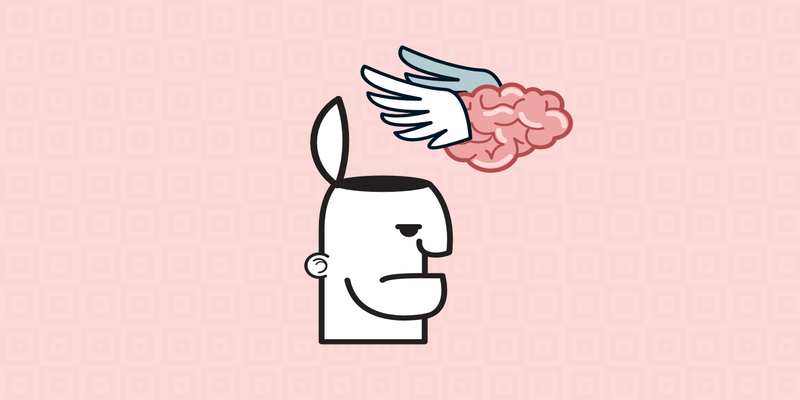 Currently their snippets do not work generating duplicate titles and meta descriptions (especially on author pages) I had to install another plugin to re-direct attachment pages to posts (something that Yoast decided to eliminate because we should all do what they say… wth!) I got so many crawling anomalies and a hit to my SERPs, it’s not funny. It is so shameful that they release such a buggy plugin, I am currently considering switching to a new one. Great post! Thank you for sharing your thoughts. I have used Majestic online tools and it’s a great tool for analyzing how much link power a specific link provides. I haven’t used Ahref as much, but it should be equally useful for Off Page SEO. Maybe even better. Majestic is also a great tool. But we highly recommend checking out Ahrefs. You’ll probably find more results as their backlink database is bigger and they have some amazing new tools. Brian, that’s a very solid list and I couldn’t be happier for this overview, especially when it comes to the SEO tools list. However, having it for a few months in my toolkit, I would definitely add Nightwatch.io to the list too :) Give it a look, it’s pretty cool. Yoast has become annoying with their spamvertising where they take over the dashboard in every post, page, tag, page builder templates, etc, where, when you delete something, they pop their spam message every time to buy the premium version. I read several requests on WordPress and GitHub to have the option disabled but the team at yoast was very arrogant and they refused to do it, telling people to find the hooks by themselves and deactivate them! At InkThemes we have apporx 5 thousand post and pages and we are using Yoast for SEO but Yoast store all the data in postmeta and our post meta table has grown to approx 125000 rows and it quite big this is making our post and page to load slow. Which plugin do you recommend us to use? Thank you for sharing this awesome collection of SEO WordPress plugins. Yoast SEO is one of my favorite plugins. It helps you to optimize your meta tags without entering into coding. I use this plugin on my website. I use it on my blog website. Hi there! Can you please tell me if there’s chance to optimize Product Attributes (like the attribute Brand) using All in One Seo?